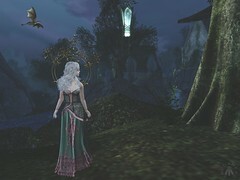 Home » A second life in pictures » Why Haven’t You Been to Ostara’s Altar Yet? This entry was posted in A second life in pictures and tagged Adored, Amara Beauty, Catwa, Dark Passions, Delirium, Grafica, Hela-Miyo, Limerence, Lootbox, Luas, Lumae, Maitreya, Ostara's Altar, Oubliette, Swallow, The Little Branch, The Looking Grlass, The Muses, The Secret Hideout. Bookmark the permalink.